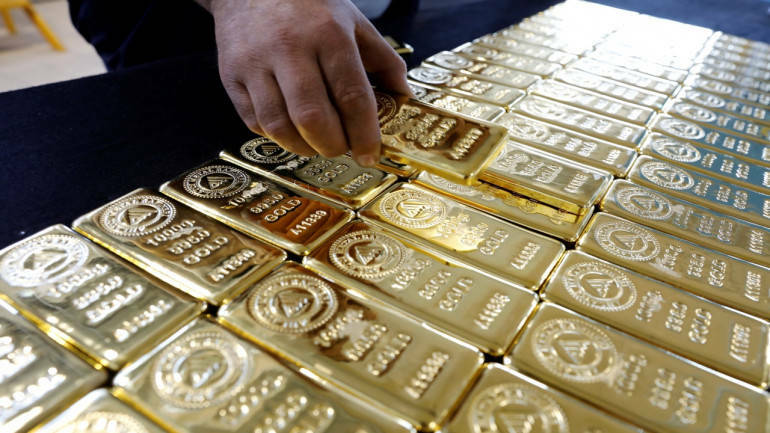 Gold prices that had been steady for several years now have suddenly shown a spurt in demand as dollar is wavering and rising inflation has led to spurt in demand for the yellow metal. Rising inflation in the country has led to rise in purchase of gold by investors in the past week by 2.4% in India while in the United States it fell by 0.4%. The dollar index also witnessed growth of the dollar by 0.1 %in last week’s session. On the opening session of Asian bourses on Monday, equity shares gained marginally on the news of global equity growth bring cheer to the markets. Even though the dollar was still showing bearish trend with no signs of robust growth the positive sentiment in equity markets has led to demand for gold due to fears of higher borrowing costs to curb inflation. According to Stephen Innes the Asia Pacific head of OANDA, gold could be a safe haven for investors as inflation in large economies is likely to continue while there is all likelihood of a correction in the equity markets. The signs of an impending world war and political tensions in Washington have also led to gold emerging as an investment option. Data of US Commodity Futures Trading Commissions and Comex have shown that both money managers and hedge funds that are largest investors in commodity markets have cut down on their long positions. The Lunar Year Celebrations in China and other South East Asian nations will also lead to slowdown in these share markets. Other precious metals that have shown an upward trend are silver that has risen to 0.1% and platinum that has gone up by 0.8%. Even palladium has risen by 0.2%. Robert Muller, US Special Counsel has recently filed a 37 page indictment, charging 13 Russian nationals and three Russian firms for interfering US Presidential election for 2016.